Colored diamonds are becoming quite popular as they are used for a variety of jewelry types. Engagement rings are becoming a trend among new brides, too. 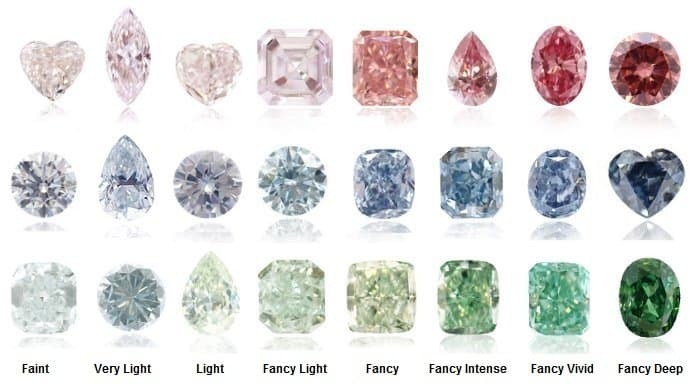 This guide to colored diamonds will give you information about the quality and grade of colored diamonds, so you can make a great choice when it comes to buying a colored-diamond engagement ring, a beautiful necklace or a pair of stunning earrings. Jean-Baptiste Tavernier, who lived in the 1600s, would travel around the world in search of precious gems to trade. He visited three famous Indian mines: Gani Colou, Soulempou and Raolconda. In his search, he was the one who brought back the Koh-i-Noor diamond or Mountain of Light and the famous Hope Diamond. Red diamonds have come from mines in regions of Brazil like the Moussaeff red, which is a famous red diamond in the shape of a triangle. Since the 1980s, the Argyle Mine of Australia has been a constant supplier of dark pink diamonds. Prior to that time, pink diamonds were light. Jennifer Lopez received a pink diamond from Ben Affleck estimated at $6 million dollars. It was 6.1 carats. At the 2004 Oscars, Maria Menounos’ dress was covered in champagne brown diamonds. The dress was estimated to cost $2.5 million. Queen Elizabeth II received an intense pink diamond before her wedding in 1947. She’s one of the biggest collectors of colored diamonds. 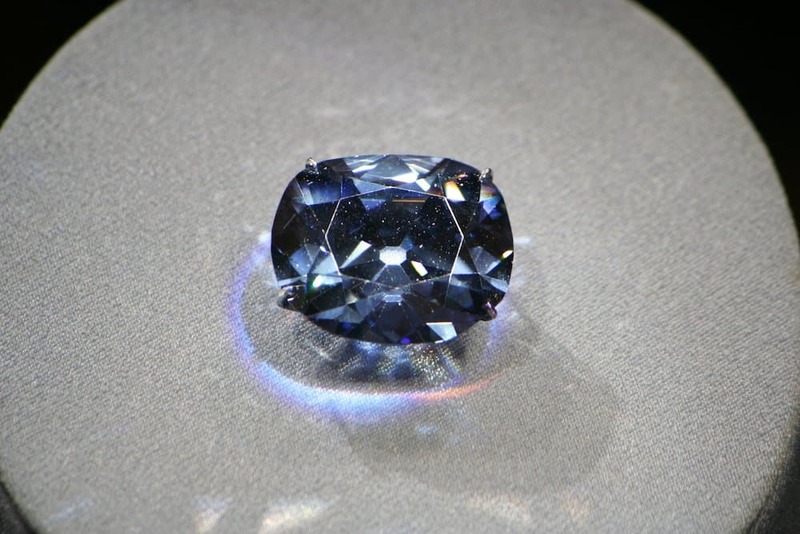 The Hope Diamond, one of the most famous diamonds in history, is 45.52 carats of fancy dark grayish-blue diamond. 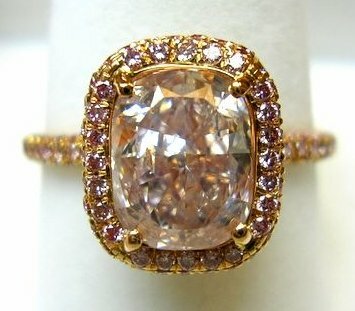 Natural colored diamonds are considered more valuable than colored diamonds that have been treated. When stones are colored naturally, it’s a more organic process that gives each diamond a unique look that is considered one-of-a-kind. Treated diamonds have color added to them and can no longer be called a natural-color diamond. This type of treatment involves high pressure, high temperature to the diamond. 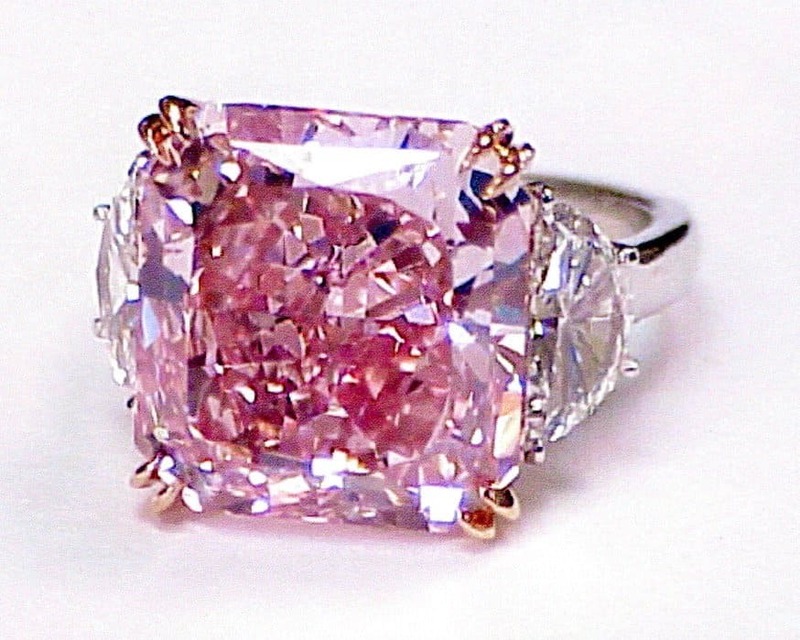 It results in a variety of colors from yellow to green to pink depending on the state of the original diamond. HPHT treatment is not readily apparent under a microscope, so it would need to be tested in a gem lab to ensure it’s natural. Gem sellers are required to tell consumers whether a diamond has been treated or not. Here’s a video that talks more about HPHT diamond treatment. To change the color of a diamond, a thin coating can be added to the diamond’s surface. It can be detected under magnification by looking for trapped air or worn areas in the surface. High-energy electrons or neutrons are used to attack the diamond’s carbon atoms. This attack will alter the chemical makeup of the gem, which will change the diamond’s color. The color will be green, black, blue, or yellow. Irradiated diamonds can be detected using a spectrophotometer. These diamonds are created in a lab and aren’t natural at all. 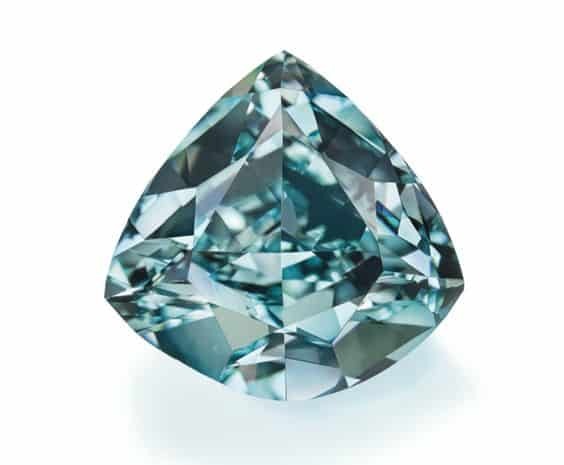 The intensity of the diamond’s color will directly reflect how they’re prized around the world. When it comes to colored diamonds, they aren’t graded in the same way that white diamonds are. White diamonds are graded based on their clarity and cut while colored diamonds are graded due to the intensity of their color. A faint tint to the diamond is barely noticeable. This color grading doesn’t apply to yellow diamonds, though. The tint of a very light, colored diamond is noticeable as a slight tint in the stone. Yellow diamonds are not graded in terms of very light. These stones are clear, but the color is more than the very light tint. These colors are more pastel like pinks and purples. Yellow diamonds are not included in this grading. This color is a step up from light, but still the hues are in the range of pastels. When it comes to fancy, it can be considered a label given by some jewelers. It’s important that buyers ask about whether it’s a label or a grade of the diamond. A graded fancy diamond will have bold colors. Diamonds with these gradings will range from intense, which is a bright, striking color to deep, which has the richest color and saturation available. 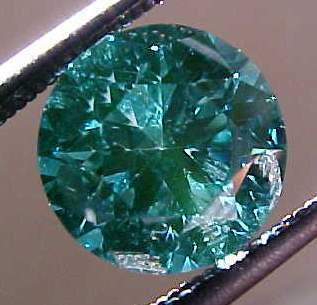 Some diamonds are listed with secondary colors like bluish-green diamonds. This means that the diamond is green with hints of blue. The second color listed is the primary color of the diamond while the first color listed is the hue. In some diamonds, the hue does not complement the original color and can decrease the value. Colored diamonds can be quite stunning and modern. Their popularity is on the rise as more people want to have statement pieces that are unique and full of personality.